They say a man is judged by the shoes he wears. And men, we feel you. We know how seriously you take your shoes. So, we've curated you a little list of shoes that you've got to buy online. Men, a handcrafted piece from Chappers definitely deserves a place in your closet. The next time you are wearing a kurta or Indian wear, jazz it up with this pair of leather beauties. We are loving the golden strap, and we're sure you'll grab all the attention with this one. Your casual footwear can pretty much be sorted with the pocket-friendly footwear from Koovs. 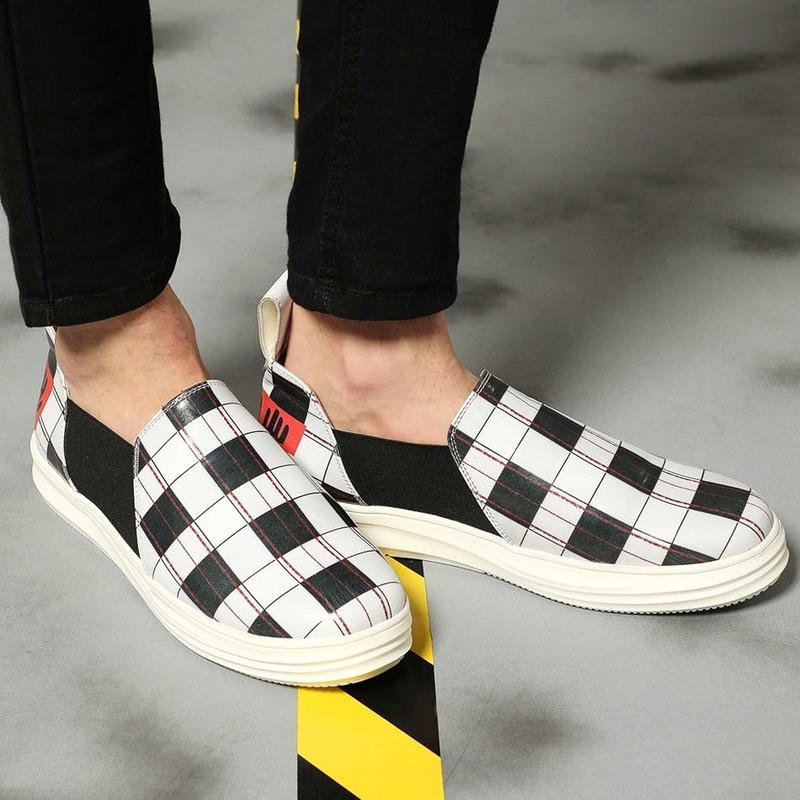 Our current favourite is this pair of checkered slip-ons designed by Kunal Rawal. This Summer, pair these with shorts and keep it cool! Are you the millennial who refuses to shy away from cartoons and all things pop culture? We're sure H&M is often your shopping haunt. Then what's stopping you from picking these trainers with Spongebob Square Pants? While it looks fun, if you don't want to wear the Spongebob applique all the time, you can detach it too. Murtle is a Hyderabadi brand that makes modular footwear. You can swap and change the look and feel of the footwear within seconds. We're crushing on Nemalista from Murtle and this vegetable tanned leather is handpainted. Pick a different strap as well, so you can mix and match. Summer is right on the fence and if you are planning to ditch shoes altogether, check out these cross strap linen slippers by Shein. These are made from linen so you know you're signing up for comfort. Plus, at INR 690, these are a steal. A shoe that shines isn't for the faint-hearted but your wardrobe should have a proper leather formal shoes, so get a pair of Ferrare from Dmodot. Whether you have an important meeting at work or a special dinner date, these shoes are a charmer, fo sho!